Nestled within the embrace of a private sun-kissed bay, The Ritz-Carlton, Koh Samui is surrounded by oceanfront beauty and quintessential experiences that inspire treasured moments. Discover the legendary hospitality of its people in a constant pursuit of happiness that salves your mind, body and soul through wellness programmes, cultural immersions or culinary journeys. 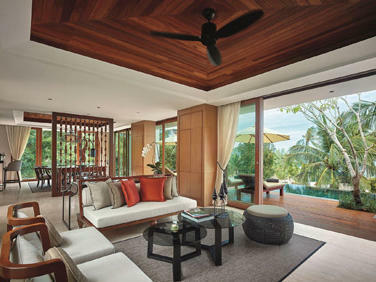 Embracing the Samui way of life is our heartbeat at The Ritz-Carlton, Koh Samui. Resting beneath the shade of swaying coconut trees, 175 exquisite suites and pool villas echo local architectural aesthetics, welcoming the island environment inside. Contemporarily designed interiors with soothing colour palette tones are transformed into light, airy private havens complemented by views of landscaped gardens or panoramic ocean scenes over the Gulf of Thailand. 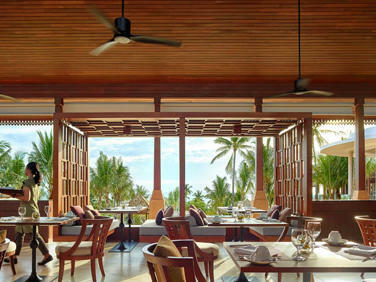 Restaurants at this Koh Samui resort mirror the island’s offerings: chili-spiked southern cuisine, bustling food markets and an impressive bounty of local ingredients. Each restaurant offers its own unique interpretation of gastronomic delights, transforming a meal into an unforgettable journey. Inspired by the therapeutic properties of natural local ingredients and age-old healing practices of the region, Spa Village Koh Samui respects the environment, culture and traditions to create holistic and rejuvenating spa programmes. 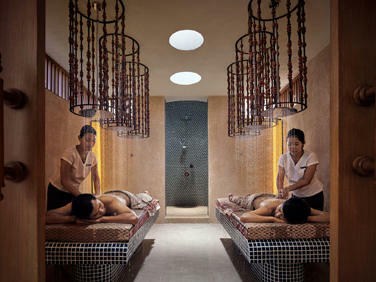 Experience the Songkran Shower, our signature pre-spa ritual inspired by the annual Songkran festival involving the joyful throwing of water, as a prelude to selected spa treatments. The finest local ingredients are sourced and utilised for customised treatments and the health bar. Seek to restore balance to your mind, body and soul through uplifting traditional Thai healing practices that incorporates coconut, healing herbs, water therapy and fresh flowers.